The best soil test kit for analyzing the soil in your garden is a test kit that returns accurate, quick results. Autumn is a good time to analyze your soil, but if you are gardening in a new area or if you just didn’t get around to dealing with it in the fall, early spring works just fine. Selecting the best soil test kit for your garden involves considering what you need to know about your garden. Soil comes in three main types: clay, sand and loam. You can tell a lot about your soil simply by looking at it, giving it a squeeze test when it is wet or dry, and by looking at the weeds that are growing on it. There are several do-it-yourself methods for testing your soil, as well. The simple, DIY methods, however, are not always sufficiently accurate for some types of plants. While most garden plants prefer a nearly neutral pH balance, some simply will not thrive unless they not only have their preferred pH, but they also have their preferred macronutrients. Also, you can save money by analyzing your soil so that you know exactly which nutrients need to be added, and which ones are present, or perhaps even over-abundant, in your soil. Soil tests come in a variety of types. Two of the most common are kits that you can purchase at your grocery, home & garden or department store, or meters that can be stuck into the soil. The kits might be supplied with equipment for taking soil samples, and with chemicals and directions for testing the soil. The ones with chemicals might require some reading and a little experimentation to be sure that you have gotten the process exactly right. The way they work is that the chemical is added to the soil sample. It will change colors, depending upon the type of mineral content in your soil. You will then match the colors to a chart to learn which nutrients are present and which are absent. If your soil test kit is set up to be mailed off, you will select samples from your garden or lawn, package them according to the kit’s directions and mail them off. This can sometimes be a more complete analysis of your soil content. It can even sometimes include learning if there are pollutants in your local soil – something that can be important when growing vegetables. Soil test meters usually only measure soil pH. This can be handy if you are growing a plant that likes an extra acid or an extra alkaline soil. If you measure the pH of your soil before selecting plants, you can even skew your selections toward plants that will naturally grow well in the soil in your location. Sometimes, however, there is a plant that produces fruits that are just so tasty that they are worth the trouble of amending your local soil. Blueberries, for example, are a super anti-oxidant fruit that are an absolutely, delicious way of adding nutrients to your diet. They do require an acid soil – more acid than is available in most farming locations. Not only do you have to amend the soil before planting, you should keep tracking the acidity as the plant grows. That’s where having a good pH meter can be a handy tool to have around. Blueberries – a bush full of yummy antioxidants. Some of the soil meters will also measure moisture and sunlight. Analyzing your soil can also save you money, and it can help prevent fertilizer run-off. It saves money because you will know what type of fertilizer you should add to your soil for to grow the crops you desire. By adding only the fertilizer that is needed, there is less to filter into groundwater. Excess fertilizer in groundwater can create problems such as algae bloom and contaminated drinking water. Not only that, by adding the correct type and amount of fertilizer, your plants are likely to have better growth. Too much of the wrong kind of fertilizer can result in poor growth, or it can cause plants to develop leaves and stems when what is wanted is fruit. A soil test kit should be accurate. It is nice when it is easy to use, but that could be a subjective condition. A kit that is easy for one person, might be difficult for another to use. Kits that can be managed on-site mean gaining information more quickly; but it could mean less accuracy. Kits that are mailed to a lab are usually read by a professional, therefore, they are likely to be more accurate, but you will have to wait for your results. 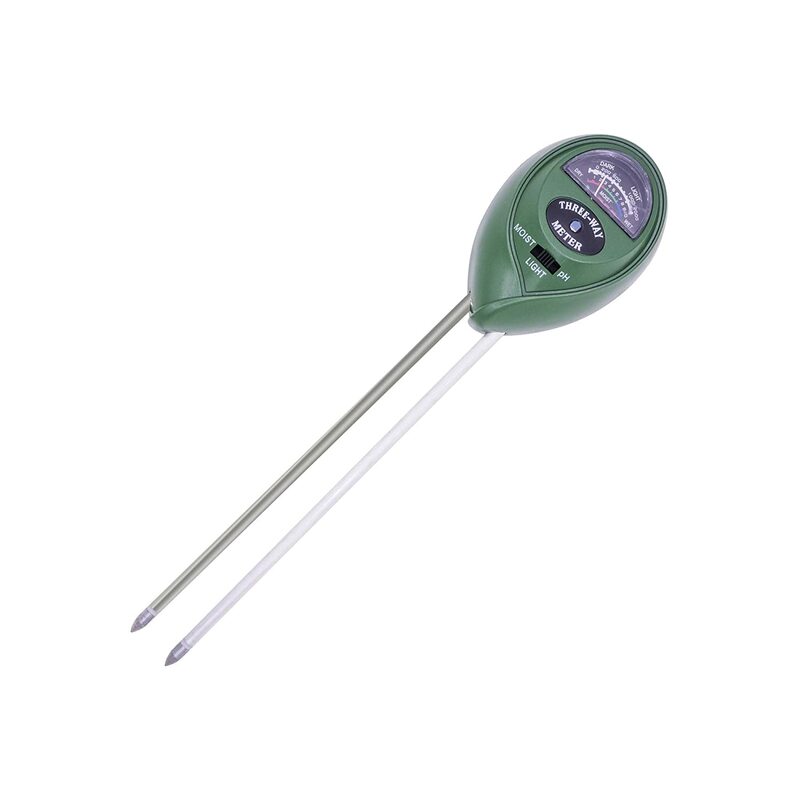 Soil meters usually measure pH balance, soil moisture and sunlight. The information provided by these meters is valuable, but not the same as the information that is provided by the soil test kits. Using one of each is a positive approach to obtaining useful information about your garden soil. 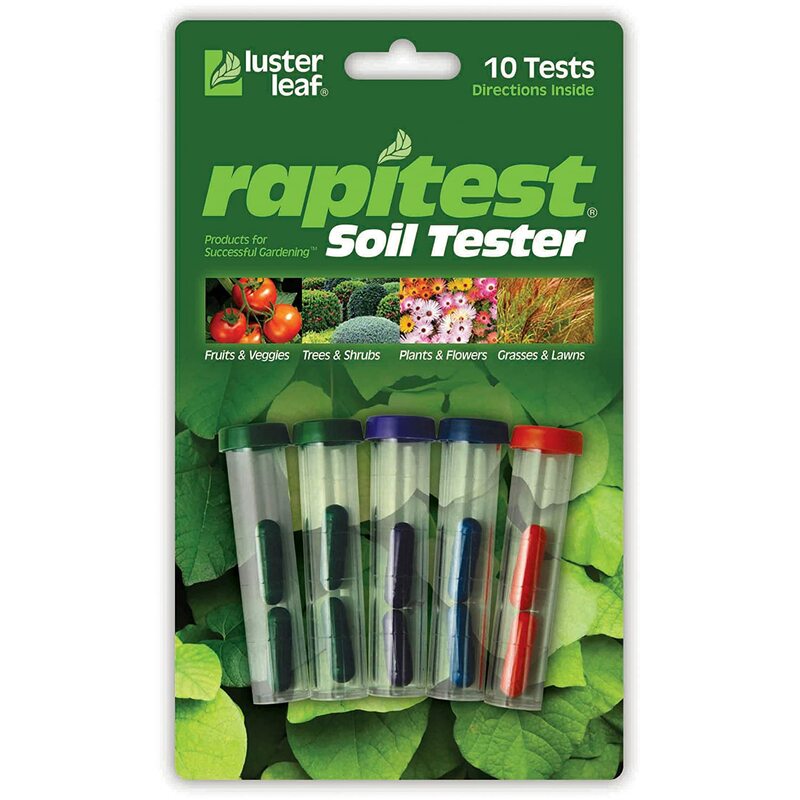 The Luster Leaf Rapitest Soil Tester is inexpensive and easy to use. If you have a small garden and are primarily testing for pH level, and for Nitrogen, Potash and Phosphorus, this little kit offers and economical way to check your soil to see if it needs amendment. The kit includes a total of ten tests: 4 for pH, and two each for the three soil nutrients. 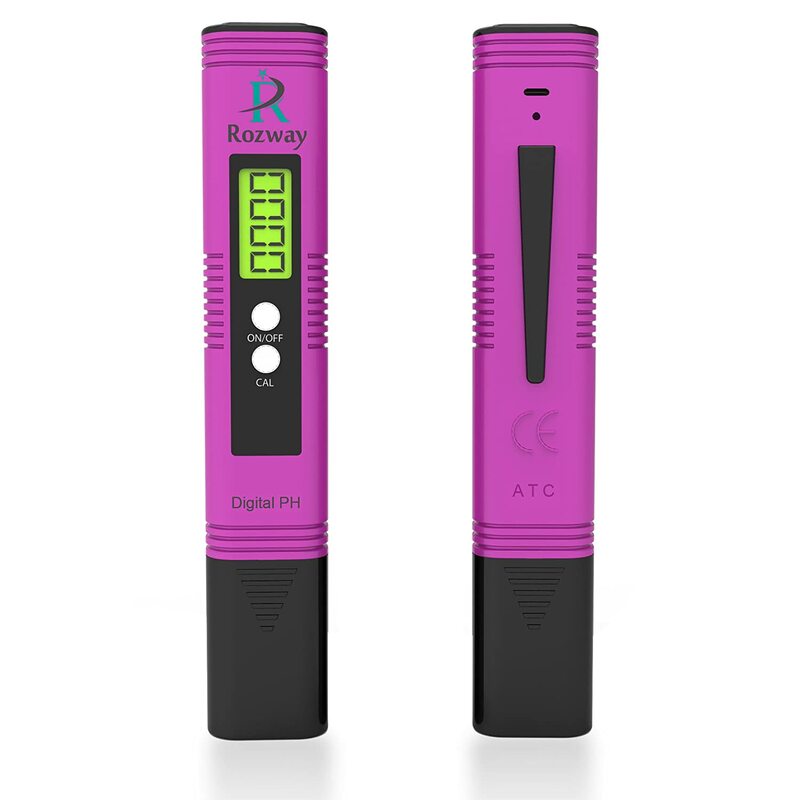 The Rozway Digital pH Meter is a handy pocket tool for testing the pH of all sorts of different sorts of things. To use it to test soil, mix a sample with distilled water, and immerse the test end. It will quickly give you a precise digital reading of the exact pH level of your garden soil. It can also be used for testing swimming pool water, or as part of your beer or wine making operations. 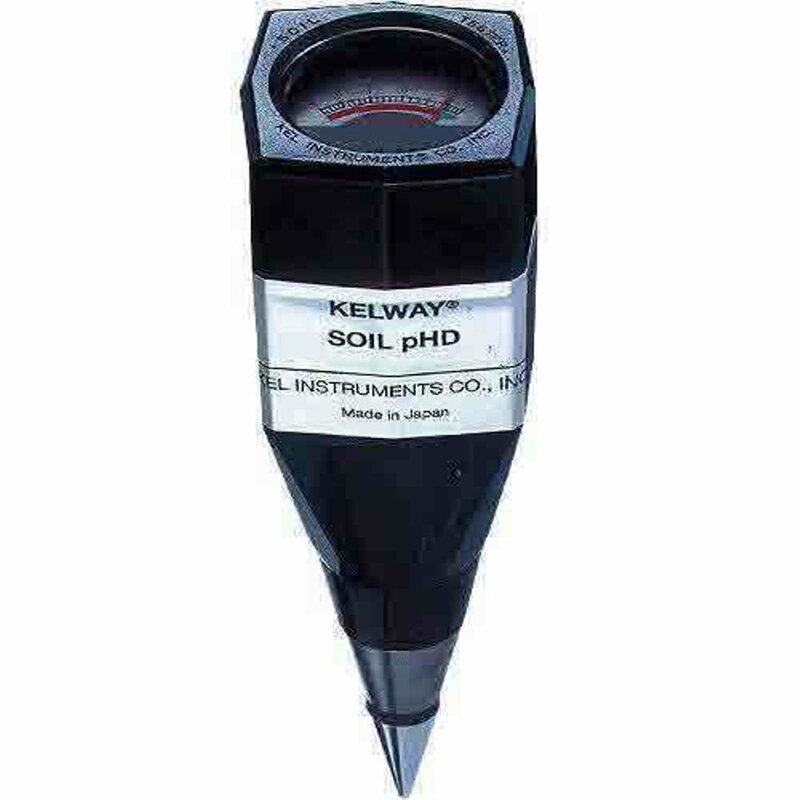 The Kelway PHD Soil pH meter is used by lawn and landscaping companies. It requires a moderately moist soil to get a reading. It also needs a filter pad – and only two are included in the box. Some users felt that it only measured in the acetic ranges, but other users were pleased with the range of the product. It seems to work very well for blueberry farmers. This soil pH Meter, the Amado 3-in-1, offers something a little bit different. It only measures soil pH, so if you want a comprehensive nutrient analysis, you are likely to want something more complex. However, it will also measure soil moisture and sunlight. This can be handy for the patio or backyard gardener who has a hard time getting the correct moisture or sunlight exposure for finicky plants. Uses a needle type meter indicator. 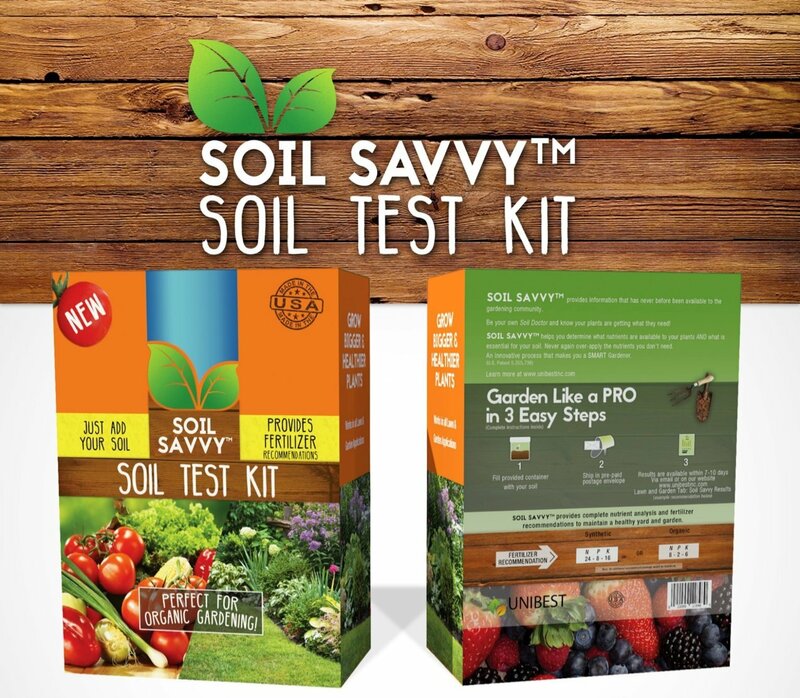 To use Soil Savvy, you take samples of the soil in your garden or lawn and mail them in. Soil Savvy then mails back a chart of the results. You won’t have to do any messy measuring or guess about soil content by comparing sample colors with a chart. Nutrients measured include potassium, potash and nitrogen. You also get a measurement for pH. The kit includes all necessary supplies for taking samples and getting them ready to mail. All these meters and both soil test kits will help you gain information about the soil in your garden. I think the best soil test kit for your garden is the simple Rapid Test kit. Even though you might have some interesting times learning how to match the colors, you will receive results quickly. The test tubes can be reused, and the kit is super inexpensive. For all-summer results, I would like to back the soil test kit up with the Amado 3 in 1 soil meter. With the soil meter, you can avoid over-watering and you can quickly tell whether your plants are suffering from a pH imbalance or whether they lack sunlight.